Create the zoo of your dreams with Zoo Tycoon! Let your imagination run wild with Zoo Tycoon on Xbox One! 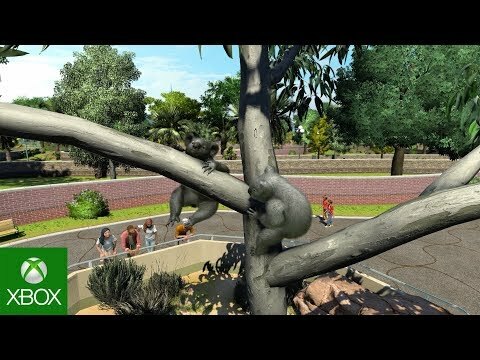 Build your dream zoo alone or with up to four of your friends on Xbox LIVE, choosing from over 100 visually stunning animals and the largest, most detailed selection of environments ever. Zoo Tycoon was added by Czlon in Mar 2018 and the latest update was made in Mar 2018. The list of alternatives was updated Mar 2018 There is a history of all activites on Zoo Tycoon in our Activity Log. It's possible to update the information on Zoo Tycoon or report it as discontinued, duplicated or spam. SimSafari brings Africa to you. Imagine yourself in rugged bush country, peering through binoculars at vast herds of elephants, zebras and lions. Alternatives to Zoo Tycoon for Windows, Steam, Mac, SteamOS, Software as a Service (SaaS) and more. Filter by license to discover only free or Open Source alternatives. This list contains a total of 4 apps similar to Zoo Tycoon. No reviews yet for Zoo Tycoon, want to be first? Maybe you want to be the first to submit a comment about Zoo Tycoon? Just click the button up to your right!